Whiteboard War: The Struggle for Markerkind. In this exciting flash game you pilot the ChopRaider advanced assault helicopter in a desperate attempt to save whiteboards from the maniacal advance of Crimson. 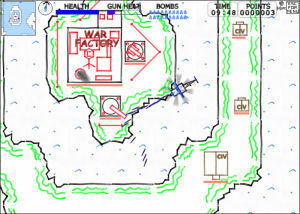 Land, Sea and Air attacks.